Transported by air boat over the marshes of Los Mochis Sinaloa into one of the richest populations of water foul available for great blind hunting. All lodging, meals, local transportation included except from the airport because of the union laws . I have had many request to duck hunt only without doing any dove hunting. If I were to do that you would only get to hunt once a day for 4 or 5 hours. The problem is that I get to hunt only 16 weeks of the year and there is no duck marsh in the world that will take hunting every day of week and still be a good place for duck hunting. There is only one way to do it–and one way only, without exception. That is to hunt the duck marsh three times a week and let it rest the rest of the time. The duck marsh must be big enough to hunt it in three separate parts so the ducks can have a place to rest and not be shot at. The only way to get 6 hunts a week out of a duck marsh is to hunt the last week of the season. I only hunt the duck marsh 3 times a week all in different parts of the marsh so you will always have the best duck hunting there is to offer in the capital of wintering duck habitat. Dove hunting gives a nice break to the blind hunting and greatly improves your shooting ability at the same time. All my dove fields are loaded with dove at all times, and, again, I am the only outfitter in the aera that has 5 or more dove PARKS loaded with natural food at all times. The dove are just like the ducks. Over shoot them and you will have poor shooting each and every time. 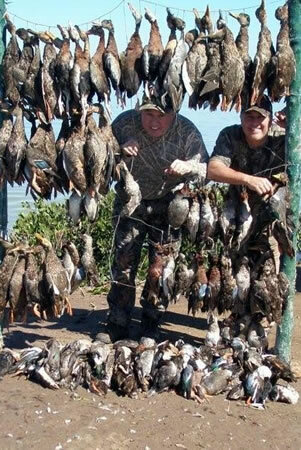 Some other outfitters are very slow to pick up on this, or don’t have the $40,000.00 dollars it cost to run dove fields like this each year. If you still want all duck hunts PLEASE READ THIS AGAIN. It’s just not in the books and can’t be done week after week in any duck marsh. If you hunt here at my lodge it will be something you will remember the rest of your life. That is the way a hunt in Mexico should be–and is–here at Camp David in Mexico. All birds are cleaned, packed and frozen in plastic bags. All birds have a tag with the date they were hunted. We use bottled water and purified ice. 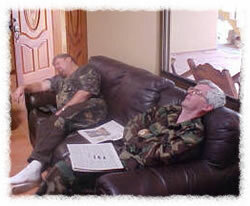 Oh… and one more tip: Try to always get a good night’s sleep the night before the hunt!